Northern part of the Cardo, the main axis of the city. 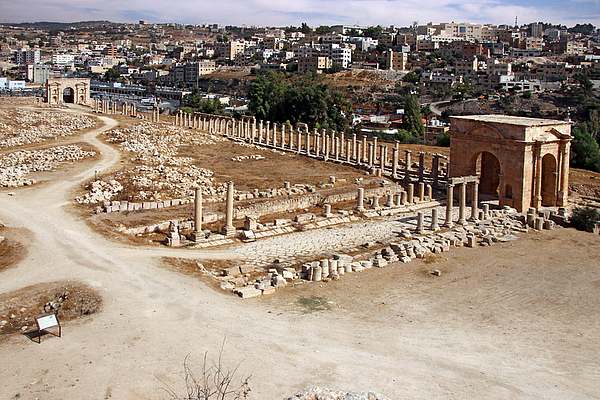 It is an over 800 m long colonnaded street that stretches from the Oval Plaza to the North Gate. When the central part of the Cardo was widened and rebuilt in the 2nd century AD, this northern part was excluded from it. This is why the original Ionic columns still stand there. On the right, the North Tetrapylon; on the left in the background, the North Gate - see the following pages.